Meet the new contemporary bag for this season. 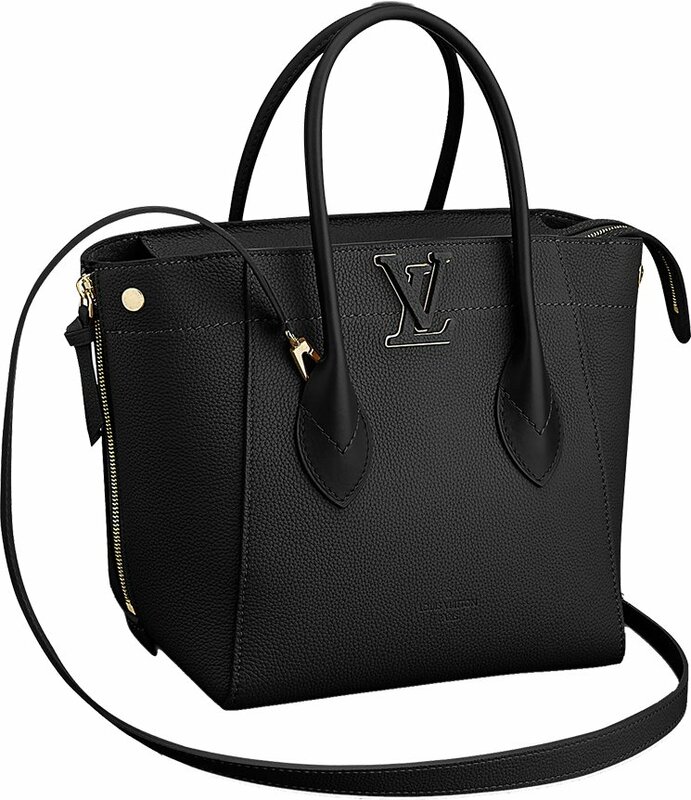 It’s called the Louis Vuitton Freedom Bag and it has everything you need to tote all-day-long in a busy city. This bag looks modern, spacious and has several creative features to play with. It’s edgy and the leather is impeccable, so you don’t need to worry about babying it. Now let’s talk about the design. The Freedom Bag is a large city bag from the Cruise 2018 Collection. It’s designed with an edgy moto vibe and it’s ideal for urban lifestyles. The first thing you notice about this bag is its generous size. The leather looks stunning and luxurious too. The freedom Bag is actually made from calfskin leather, which feels luxurious, nice and grainy. 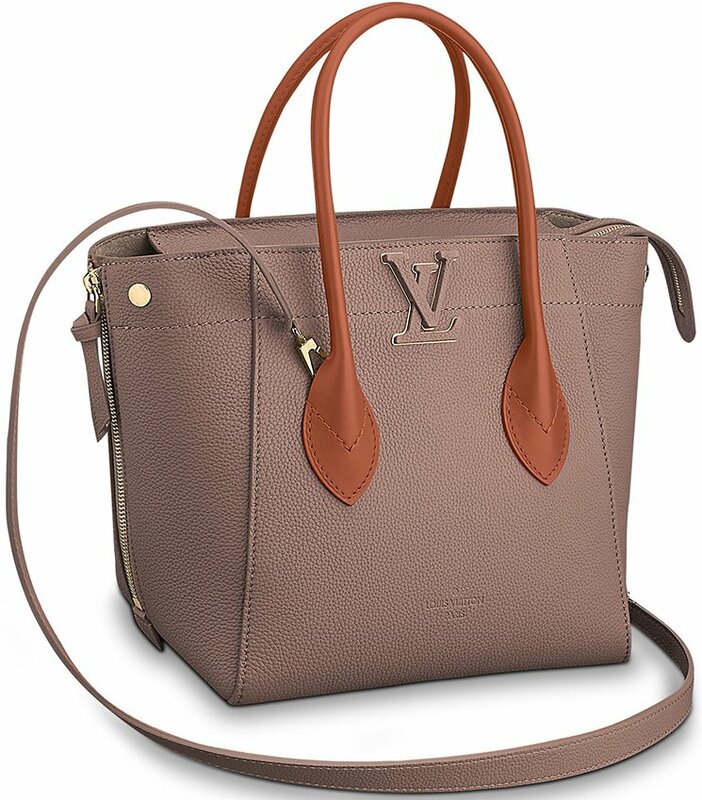 The center is crafted with the new modern LV clasp, designed in gold hardware but the center is crafted with the same color like the bag. You can carry the bag by hand with the 2 handles or you can use the removable strap to carry on your shoulder or cross body. The sides are embellished with zippers, so the mood and shape of this bag can be changed depending whether you open or closed the zippers. To survive in a big city, you need a big bag with a big interior. The Freedom Bag is therefore your ideal companion. Inside this bag you will find one large main compartment, a zipped pocket and a double flat pocket. The top of this is made with a zip closure system. Measuring 10.6’ x 4’ x 8’ inches, priced at $4100 USD, $4850 CAD, €2850 euro, £2660 GBP, $33500 HKD, $5050 AUD, ¥31500 CNY, ¥459000 JPY via Louis Vuitton boutiques.